Jennie attended Seton Hill University in Pennsylvania where she obtained her Bachelors of Science degree in Physician Assistant studies. She later completed her Masters of Science in Physician Assistant Studies, Education, and Leadership, from A.T. Still University. Jennie began her PA-C career in Urgent Care and internal medicine, later developing a passion for aesthetics. She began working in the field of skin care and aesthetics in 2010 and has obtained advanced training and certifications in various medical and aesthetic procedures from renowned regional and global leaders in the industry. She has become very proficient in facial contouring and enhancement with various injectables such as botulism toxins, dermal fillers, and Kybella. She has a vast knowledge and multiple certifications for use of state of the art lasers. 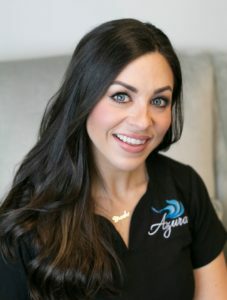 She works as a private trainer teaching other health care professionals in injectable techniques as well as she is a national educator with a leading aesthetic training company. Jennie’s philosophy of skin care and aesthetics is simple. She wants to help you achieve natural, beautiful results working in all levels of comfort and ability. She will listen to your goals and will partner with you to develop a plan to suit your expectations. Outside of the work she loves, she is married to an eighth-grade science teacher, has two young children and recently rescued a super sweet puppy named Boomer. She can be found camping with her family, out in her Kayak or running around with her Girl Scout troop. 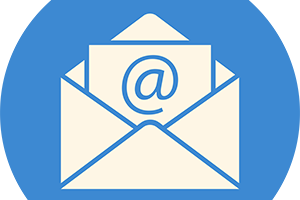 Dr. Stevens has been in practice for over 25 years and has been in the Raleigh/Cary/Apex area for almost the past 20 years. During his career, he has worked at urgent care centers, family medicine offices, and emergency rooms. He owns his own Family Medicine practice in Cary (Triangle Family Care, P.A.) that has been in business for the past 15+ years and has been providing concierge medical services (CAS Premier Health, LLC) for the past 7+ years. He has been honored with multiple Patient’s Choice Awards and Compassionate Doctor Awards over the years. During his career, he has always enjoyed performing many skin procedures and began working with aesthetic devices in his primary care office in 2015. As this aspect of his practice developed, the vision of a cosmetic practice, Azura, began. In 2016, he hired Jennie Kowaleski, PA-C, a premier aesthetics practitioner and experienced injector instructor with years of aesthetics experience to help him provide the quality aesthetic and medical care he envisions for all patients at Azura. Welcome to Azura! 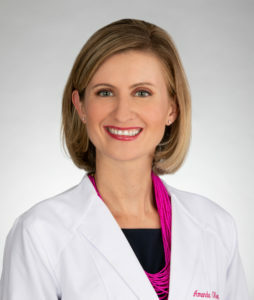 Amanda is a nationally board-certified and licensed Physician Assistant. She acquired her Bachelors of Science from the University of Northern Colorado in 2008, and her Masters of Science in Physician Assistant Studies from Chatham University in 2011. While training, she had the opportunity to rotate with a plastic surgeon and fell in love with aesthetics! Since graduation, she has been employed in both fields of acute care medicine and aesthetic medicine. Her years of experience in aesthetics have provided her with an extensive knowledge of energy based technologies including light, laser, ultrasound, and radiofrequency, for which she is certified. She loves to enhance a patients’ natural beauty with Kybella injections, neuromodulators (Botox, Dysport, Xeomin), and dermal fillers. She is well versed in dermatology; skin care, chemical peels, and enjoys offering patients comprehensive skin care consultations. She is experienced treating all age groups, skin types, and ethnicities. Her approachable personality keeps patients at ease, as she wants everyone to look great and feel great! Amanda enjoys spending her free time researching up and coming aesthetic treatments and anti-aging medicine. She is happiest being outdoors, cycling, doing yoga, going to the beach, and spending time with her husband, daughter, and big friendly boxer dog. Hope received her license in 2001 from Central Carolina Community College where she graduated with honors. 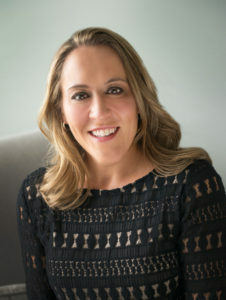 She has continued her education over the years in advanced chemical peel application, micro-needling, dermaplaning, laser, and Exilis and was even selected to be on a special panel for SkinCeuticals in NYC. 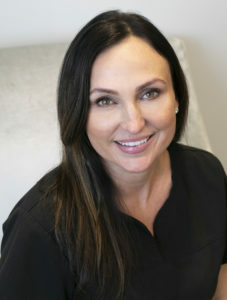 In her experience as a lead aesthetician, she has been able to work closely with plastic surgeons, Physician Assistants, Nurse Practitioners and other healthcare providers gaining greater insight into skin care needs. Hope’s passion for skin care helps her clients feel beautiful and confident while under her care. When not in the office, Hope enjoys spending time with her family and traveling. Allyson has been practicing massage therapy since 2007. She began her professional career as a health educator before graduating from the Body Therapy Institute in Siler City, NC. She specializes and offers the following techniques and modalities: Swedish, Hot Stone, Bamboo Fusion, Medical Massage, Sports Massage, Therapeutic Stretching, Joint Mobilizations, Deep Tissue, Cranial, Reflexology, and Neural Reset Therapy. Allyson is one of a small group of therapists who are certified as a Master in Neural Reset Therapy. Allyson is certified by the National Certification Board for Massage and Bodywork Therapy (NCBMBT), licensed in both Virginia and North Carolina, maintaining a professional membership with Associated Massage and Bodywork Professionals. Michelle Heath is a Licensed Massage & Bodywork Therapist and has been practicing since 2010. Michelle holds a Bachelor’s of Science degree in Human Performance & Wellness received from St. Augustine’s University in Raleigh, NC. As a former student athletic trainer, Michelle has extensive knowledge of sports injuries as well as the rehabilitation process. 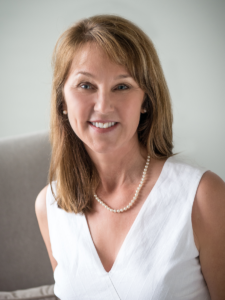 Michelle chose to expand her education in the area of muscle manipulation at Miller-Motte College in Cary, NC and she consistently works towards the goal of promoting healthy treatment options that improve the overall well-being of her clients. Michelle considers massage therapy to be a dream career. She has worked in both small practice settings as well as five-star luxury settings. It is her goal as a therapist to restore balance through alleviating muscle pain and tension and by promoting relaxation for restorative health and self-care. Michelle utilizes a variety of techniques and specializes in the following areas: Swedish, Hot Stone, Deep Tissue Massage, Prenatal Massage, Seated Massage, Sports Massage, and Aromatherapy. Varshay believes in the body’s ability to heal itself and utilizes his expertise to assist in this process. Varshay focuses on creating an ideal environment through thoughtful communication to address his client’s individual needs. His style combines clinically based deep tissue, stretching and flowing movement to calm, reset and relax the body and mind. His work can benefit chronic pain sufferers, athletes or anyone seeking overall wellness. He is a graduate of Miller-Motte College in Cary, NC. He continues to seek advanced training and knowledge, adding to his overall understanding and expertise. Varshay is originally from Seattle, WA and moved to Raleigh in 2002. 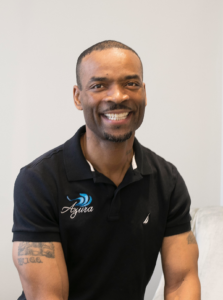 He enjoys spending time with his wife, Charae, and daughter, Ellashay, when not focusing on the healing massage and bodywork therapies of others. Brooke is one of our licensed aestheticians as well as our World Microblading® Certified Technician. 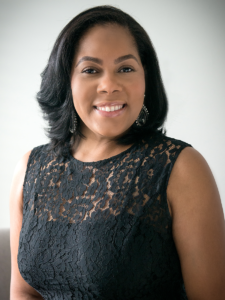 Originally from Richmond, Virginia, she moved to Raleigh in August of 2004, where she attended Meredith College and graduated in 2008 with a Bachelor’s Degree in Fashion Merchandising and Design. Brooke spent many years in luxury retail and in 2011 she became a Chanel Beaute’ artist where she developed a deeper interest in skincare and the health of the skin. 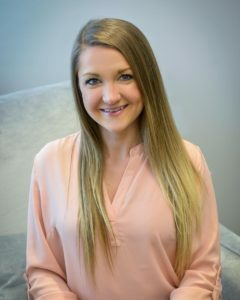 Brooke decided to delve further into her passion for skin and beauty when she attended and successfully completed, with honors, her aesthetics license at Miller-Motte College. 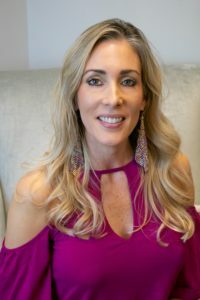 Most recently, she received her Microblading certification from World Microblading®, one of the most reputable and nationally recognized Microblading companies and has been working on brows for over a year. Brookes love of skin and beauty has grown and now includes a passion for beautiful brows! Her favorite part of being an aesthetician is developing lasting relationships with her clients and helping them to see their inner beauty while delivering the best service and results driven treatments. Julie also owns and operates her own clothing boutique, Carolina Jule, specializing in ethically produced women’s clothing and accessories. Her store advocates for fair labor and all of her styles are made in the USA, fair trade, or handcrafted by local artisans. She is happy to be onboard with Azura, as a business who shares many of the same values and ethics! Julie now resides in Apex with her fiancé and enjoys being outdoors, hanging out with her German Shepherd and reading. Our awesome coordinator Carolyn is originally from Northern Virginia but has called the Cary area “home” for the last 10 years. She loves CrossFit and is passionate about skincare – and it shows! She has gorgeous, glowing skin and even though she started here at Azura back in June of 2017, she hasn’t once had fillers because she takes such great care of her skin… from the inside out. She is all about healthy living (from eating well to getting her workouts in at CrossFit regularly) and she uses all of our Azura skincare products at home between in-spa treatments. Carolyn’s favorite Azura treatments, that she regularly schedules time for herself, include chemical peels, laser treatments, microneedling, and the occasional BOTOX® session. She is one of the smiling faces you’ll meet at Azura that will assist you with not only your appointments, greeting you, and making you feel comfortable, but she’ll help you select products to take home and keep up your skincare route. Be sure to ask her about her real experiences with chemical peels and microneedling! When Carolyn’s not at Azura, she lovingly refers to herself as a “cab driver” for her three kids and the family’s Welsh Springer Spaniel, Kelsey. She was an Azura client long before joining our team and we couldn’t be more proud to have her with us!